Stamp · Pray · Love: Card in a Box. The new craze. Card in a Box. The new craze. It's funny. When I first saw these popping up I tried to do a search on Pinterest and found ONE board with Card in a Box pins. A couple weeks later and there are TONS. You can't blame people tho. They are super cute and I think the best thing is is that they fold flat for shipping! I have made quite a few now but I think this is my favourite so far. This size fits in a regular A2 envelope. I think I will be working on a tutorial today since we are snowed in pretty much. 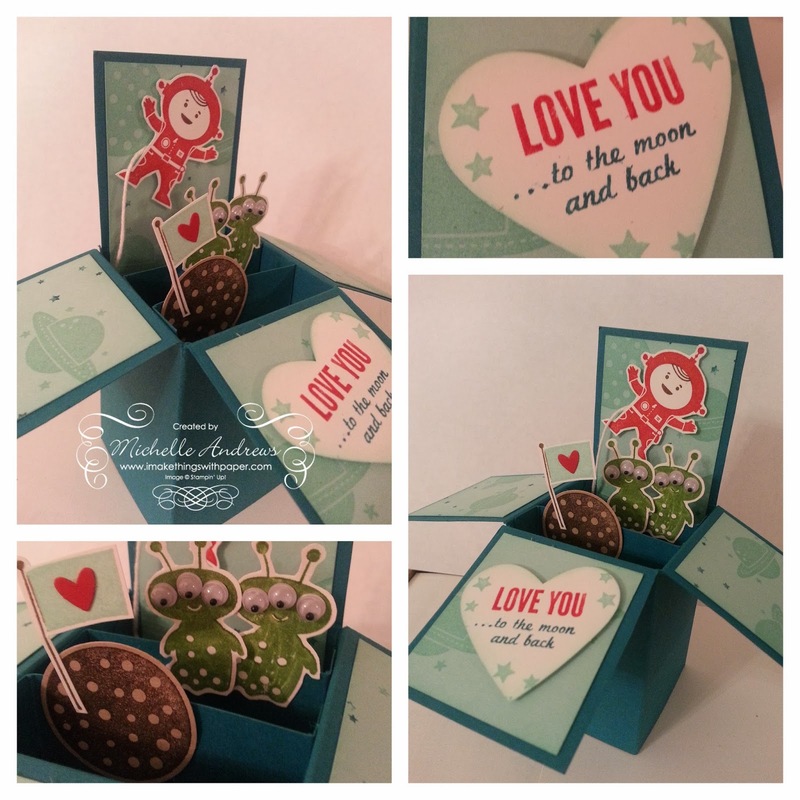 I combined the 'Blast Off' and 'Love you to the Moon' stamp sets for this little creation. And what would a martian be without googly eyes?